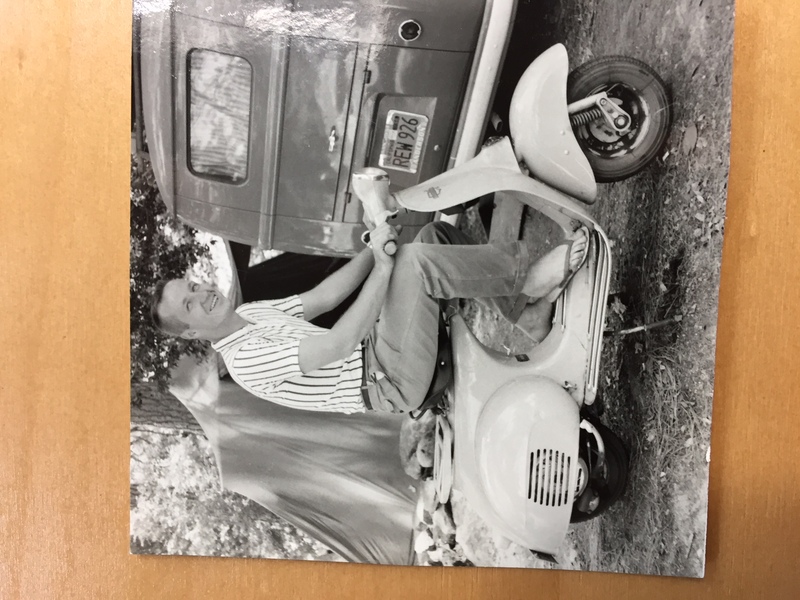 Robert Lewis George in Yosemite, 1960 (all photos courtesy of the George family). In May 2017, Robert Lewis George visited San Jose State to deliver his senior project to his faculty committee—61 years after first enrolling at SJSU. His final presentation, entitled “Visualizations,” detailed a photography workshop he took with Ansel Adams in Yosemite in 1960, and covered his 50-year career since leaving San Jose. The two-week workshop, which was conducted all over the park, made a lasting impact on the way George took photos—and saw the world. George originally enrolled at SJSU in 1956 after returning from the military, where one of his jobs was to take photos. Photography became especially important to him after meeting San Jose State Art and Art History Professor Morton Boss. 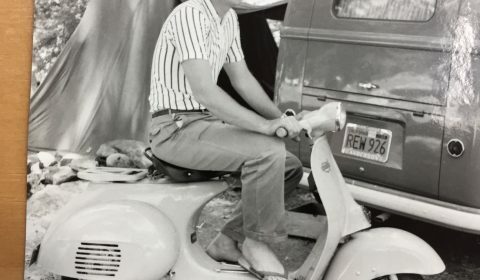 Though he was a Life Sciences, Preparation for Teaching major at the time, his passion for photography led him in 1960 to open the Town and Country Camera store in San Jose with his father-in-law. Boss worked there for several years, maintaining a friendship with George that lasted decades. 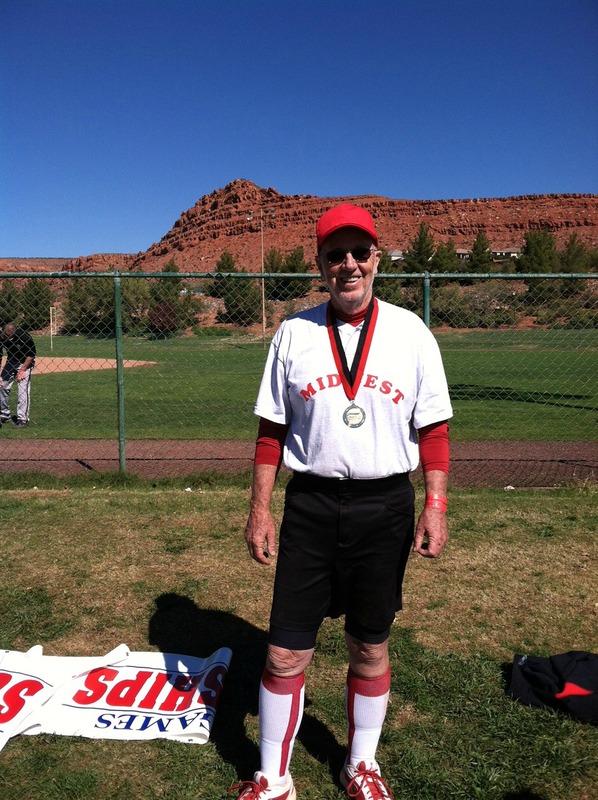 Robert Lewis George at the Huntsman World Senior Games in St. George, Utah. His team won the gold medal for its age bracket. In the early 1970s, George and his wife moved to Oregon with their children. He sold school buses before working as a transportation consultant for Oregon’s Department of Education. Following his retirement in 1995, George and his wife wintered in Arizona and stayed busy with family, fishing and playing senior softball. Watching his children and grandchildren pursue undergraduate and graduate degrees and delighting in their success, he realized that something still remained on his bucket list: a college degree. George worked with a team of deans, professors and evaluators at San Jose State to determine his pathway to a degree. The team included Associate Dean of Undergraduate Studies Wendy Ng, Associate Dean of the College of Sciences Elaine Collins, University Articulation Officer Delia Chavez and Admissions Evaluator Yvette Fierro. In early 2017, he declared a special major entitled Life Sciences Visualization with Preparation for Teaching and enrolled in an independent study course with Ng, who is also a sociology professor at SJSU.